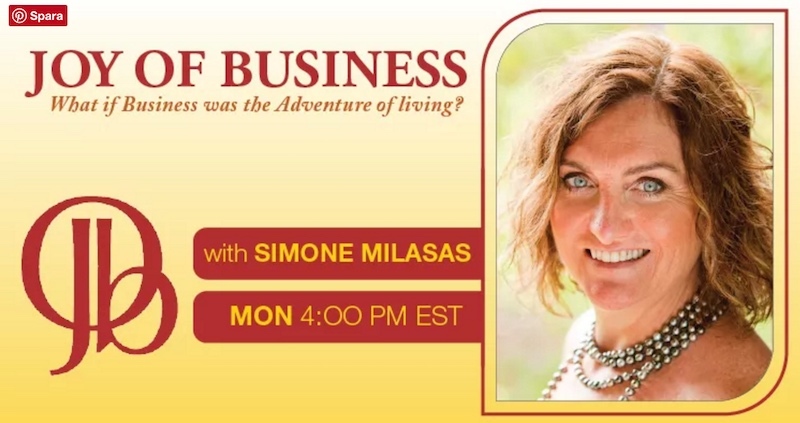 Join Simone Milasas, author of Joy of Business, business mentor & international speaker, as she speaks with Katarina Nilsson, coach and Certified Access Consciousness & Joy of Business Facilitator, about moving beyond your limitations around money. Do you have any money hang ups? Are you ready to receive more, let go of limitations around money and ask for way more in your life? Katarina Nilsson feels passionately about supporting positive change – regardless if it is about creating more money, expanding your business, eliminating obstacles regarding creativity, inviting more play and ease in your life, or to make positive physical changes. ”So many awesome things have happened in my life since I started using the Access Consciousness tools. I have more fun, just about everything is easier and quicker and I follow my joy and intuition to a greater extent.” Listen in as Simone and Katarina discuss simple tools to get over your limitations around money!